Dr Vino completed M.S. in General Surgery from Coimbatore Medical College in 2004 and obtained M.R.C.S(Ed) in 2007. 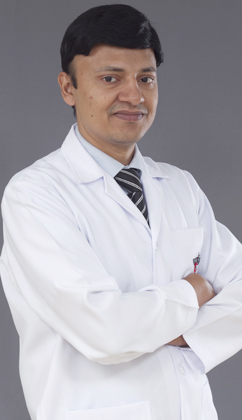 In his 11 years of post-graduation experience Dr Vino received a lot of exposure to cancer surgeries including TRAM flap after mastectomy, complicated thyroid surgeries with neck dissection, GI malignancy surgeries, bariatric surgeries, hernia, stapler hemorrhoidectomy and gastrectomy. His major area of Interest lays in laparoscopic procedures including Lap hernia, Lap Cholecystectomy and Lap Appendicectomy, stapler hemorrhoidectomy (MIPH) and total thyroidectomy. Dr Vino can speak English, Malayalam, Tamil and Hindi.